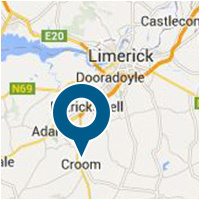 As mentioned in our Quality section - Croom Precision Medical has thrived on delivering high quality products to its valued customers. Our third party, raw material suppliers are hand-picked for their excellent product quality and reliabilty. Croom Precision Medical has built strong relationships with its raw material suppliers over time, continuously supplying high quality, fully traceable and certified products to the world’s leading medical device companies.